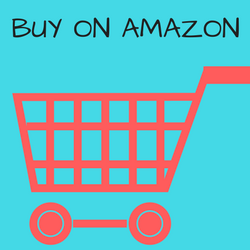 Shopping for a reliable and well designed espresso brewing system should never be taken lightly. After all, when models range from $500 to $1500, this decision can prove very significant in terms of cost. The last thing you want to do is to spend a lot of cash on a brewing system that doesn’t meet your expectations. Fortunately, if you decide to purchase a system made by Breville, you can rest assured that your expectations will always be met and even exceeded. Still, even though you have decided on the right brand, now you still have to decide on the model that is best for you. This guide will present four of the BES XL models from Breville, highlighting their features and their differences. After reading this article you will be able to choose the perfect Breville espresso brewing system for your needs. The Breville BES840XL is the basic model of the BES XL espresso brewing systems. 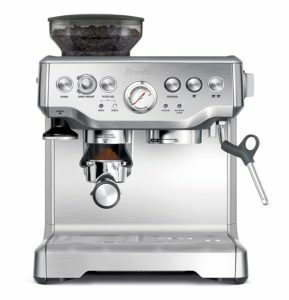 It offers all of the standard espresso brewing features while providing the quality and reliability you would expect from a Breville product. The BES840XL is the perfect model for anyone who is looking for a top quality espresso brewing system without the bells and whistles of higher end models. The BES840XL boasts 15 bars of pressure. This ensures that you get top quality espresso drinks and milk froth each and every time. Preset and manual volume options allow you to customize the size of your drink by choosing between single and double espresso shots and shot strength. A 1600w thermocoil heating system guarantees total temperature consistency. Every shot you pour with this system will be piping hot, without fail. Additionally, an auto purge feature reduces the water temperature after steaming milk, further ensuring that you get the perfect espresso shot each and every time. The BES840XL also uses pre-infusion technology. Now when you pour a shot the grounds will be expanded with low pressure water before being exposed to the high pressure of regular espresso brewing. This ensures that you get the full flavor and body of the espresso, making every drink extra rich and delicious. A hot water spout allows you to brew tea, hot chocolate or Americanos. Additionally, a fully rotational steam wand enables you to get the perfect milk froth for coffee shop quality lattes or cappuccinos. You can brew your beverage into almost any size mug with the high brew spout design on this model. Furthermore, a 61 fl. oz. water reservoir means you can brew multiple beverages before needing to add water. Breville makes this model in three sophisticated colors. Choose between black, stainless steel and red to add a touch of class to any décor. The BES870XL is a step up from the 840 model, offering all of the same basics with a few added features and benefits. Like the BES840XL, this model provides 15 bars of pressure, ensuring top quality espresso and milk froth for every beverage you brew. Additionally, the heating system in the 870 series is the same 1600w thermocoil as in the 840. The hot water purge function, as well as the pre-infusion brew feature is also present on the BES870XL. Furthermore, the same automatic settings and manual overrides are available as on the BES840XL. 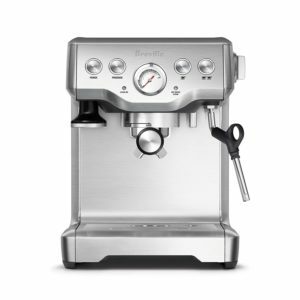 A slight exception between the two models is that the Breville BES870XL has a 67 fl. oz. water reservoir, as opposed to the 61 fl. oz of the previous version. One of the features that sets this model apart from the 840 is the built in burr grinder. The conical design of this grinder ensures top quality grounds each and every time. As freshly ground coffee provides better flavor, this is a highly recommended feature in any coffee brewing system. The grinder puts grinds directly into the portafilter for extra convenience. Additionally, the grinder is self sealing, which allows you to remove it safely without spilling any of its contents. The BES870XL is also available in the same three colors as the 840 model— stainless steel, black and red. If you are looking for a somewhat more sophisticated machine, the Breville BES920XL is a model worth considering. In short, this is a supercharged version of the BES840XL. It doesn’t have a built in grinder like the 870 model, but it does provide an upgraded experience overall. The first significant design difference worth noting is that the BES920XL has two stainless steel boilers and water pumps. The double boiler and pump system enables you to pull espresso shots while simultaneously steaming milk. This is ideal for any situation where you need to brew multiple beverages in short succession. It’s the perfect design for parties or even small business environments. Another improvement over the 800 models is that the BES920XL has an easy to use computer interface. An LCD display offers temperature and brew size control while also showing the shot brew time. When not brewing beverages the LCD display shows regular time for your convenience. The water reservoir on the BES920XL holds a full 84 fl. oz. This means you can brew multiple beverages without having to stop to refill the water. An internal strip tests the water’s hardness. Additionally, a descaling cycle is available for cleaning the system of any mineral deposits or residue. An automatic alert will inform you when to run this program. Perhaps the only drawback to this model over the 800 models is the color options. Unlike the 840 and 870, the BES920XL is only available in stainless steel or black. If you are the type who needs the biggest and the best, then the BES980XL is probably the model for you. Just as the BES870XL is an improved version of the 840 model, this is an improved version over the 920 model. Not only does it provide all of the features and functions of the BES920XL, but the BES980XL comes with its own added benefits and special features as well. An easy to read LCD display allows you to program all of the same settings as the 920 version. However, in addition to programming shot volume and temperature, this model also allows you to program milk temperature and foam consistency. The BES980XL offers a whole range of extra preprogrammed options, making it more customizable than the BES920XL. 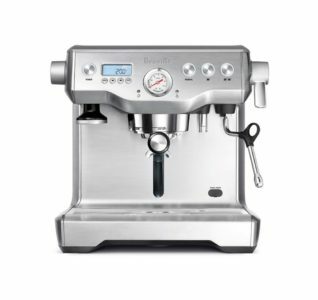 Dual boilers and pumps enable you to pull espresso shots while steaming milk, just as with the 920 model. However, added automation allows you to simply program the exact drink you want and the BES980XL will take care of the rest. A built in conical burr grinder makes the Breville BES980XL a completely self contained espresso brewing system. Go from beans to beverage with a virtual press of a button! In addition to grinding and dosing the espresso, the 980 also tamps the espresso for you. This is perfect for anyone who doesn’t want to have to worry about learning the skills of a barista. The only drawback, if you want to call it that, is that the BES980XL only comes in stainless steel. Otherwise, this model is by far the most comprehensive and all inclusive espresso brewing system available in the BES XL series. In summary, these four espresso brewing systems offer something for everyone, no matter what your tastes or needs are. For those who prefer a more manual system, the BES840XL and BES870XL are the perfect choice for you. Choose the 840 for the most basic system, or the 870 for a brewing system and grinder in one. However, if you want more versatility and programmability, then the BES920XL and BES980XL are the models for you. With the 920 model you get more control over the strength and temperature of your drink. However, with the BES980XL you get a virtual barista, with full automation and customizable programming. 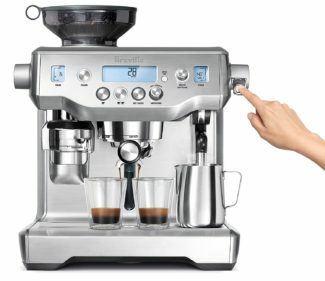 Hopefully this article will help you to choose the Breville espresso brewing system that is right for you so that you can begin to enjoy your favorite coffee shop beverage in the comfort of your own home. I own the BES870XL and I am extremely pleased with the quality. It takes some time to learn how to use because this is semi-automatic machine. Espresso machine with a built-in grinder save your time and money if you use whole bean coffee. Good burr coffee grinder cost around $250 and you can count how much money you save if you buy Breville espresso machine with grinder. You make a big mistake if you buy BES840XL unless you already own a good and high quality burr coffee grinder.